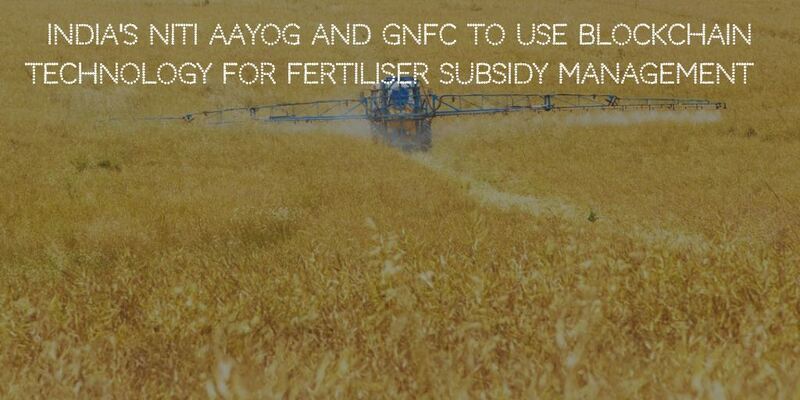 NITI Aayog and Gujarat Narmada Valley Fertilizers & Chemicals Limited (GNFC) have signed a Statement of Intent (SOI) to work together towards implementing a Proof-of-Concept (“PoC”) application using Blockchain Technology for fertiliser subsidy management, according to official announcement. Blockchain platform brings most of the features of distributed computing and ledger keeping of transactions i.e. confidentiality, authenticity, non-repudiation, data integrity, and data availability. Blockchain technology also known to bring visibility, transparency and efficiency to business processes among multiple business stakeholders and entities. The blockchain based processes also supports use of Smart Contracts which can enable quick and accurate reconciliation of transactions between multiple parties with minimal human intervention. Indian governments disburse around Rs. 70,000 Cr. of subsidy to the fertiliser manufacturing units. These fertiliser units manufacture around 31 Million MT of fertilisers across the country. Looking at these benefits subsidy disbursal is excellent use case for governments around the world. As of now, subsidy disbursal takes two to three months’ time with multiple entities involved. Blockchain technologies can bring lot of efficiencies to cumbersome verification and the transaction process. 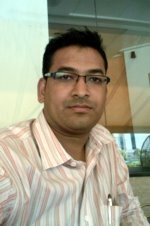 It will also help in automating distribution of subsidies in near real-time. NITI Aayog and GNFC will jointly develop the use case, undertake research, interact with multiple stakeholders. They will also develop Blockchain solutions, exchange learnings, organise forums, and disseminate learnings across their networks. Learnings, insights and outcomes of the PoC will enable NITI Aayog to suggest policy recommendations and actions in strengthening the subsidy mechanism, making it more transparent and immune to leakages. Once implemented there will be zero dependence on intermediary agencies to prove the validity of transactions and resulting subsidy claims. Due to use of blockchain technology, transactions cannot be altered on its ledger and provide transaction audit trail important, which is important for government bodies. The smart contract will ensure that there will be less human intervention during subsidy distribution.